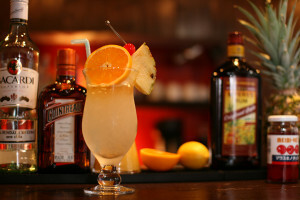 Shake all ingredients with ice and strain into large glass with crushed ice.Garnish with pineapple and maraschino cherry. 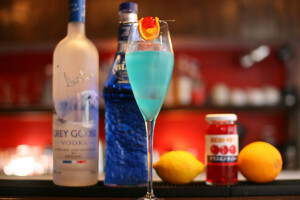 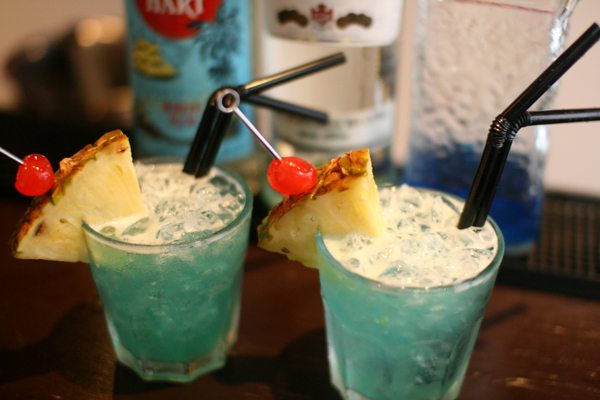 Today’s cocktail is Blue Hawaii. 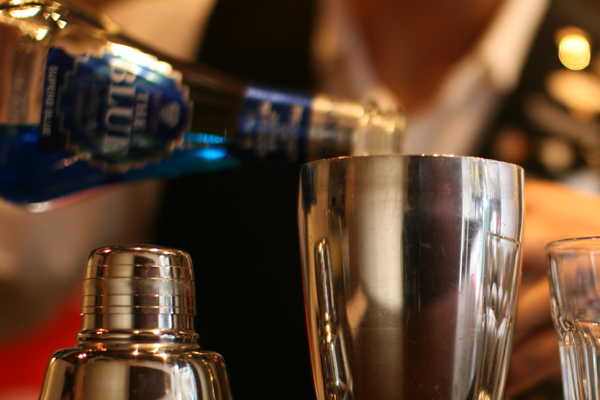 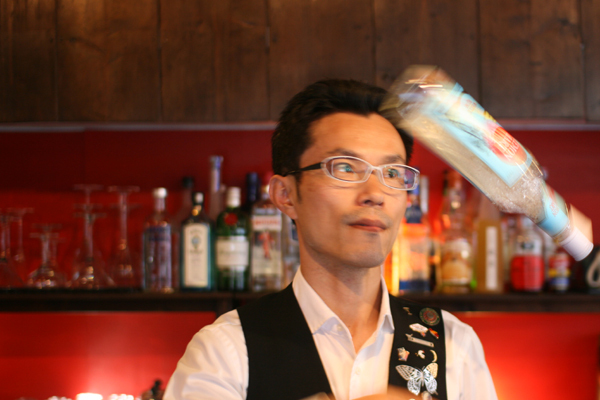 Pour 30ml of white rum into a shaker. 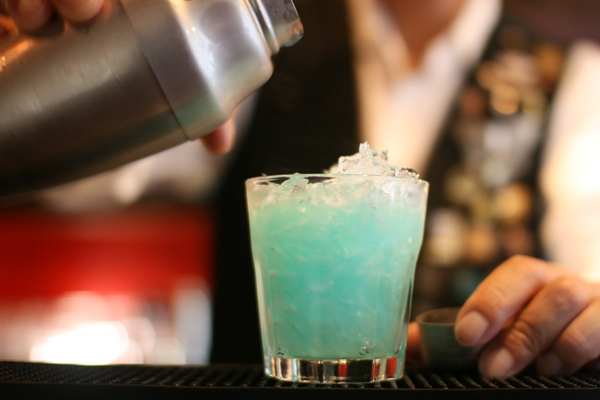 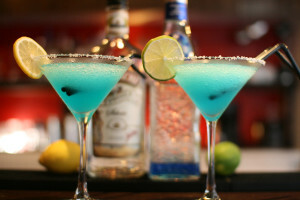 Pour 15ml of blue curacao. 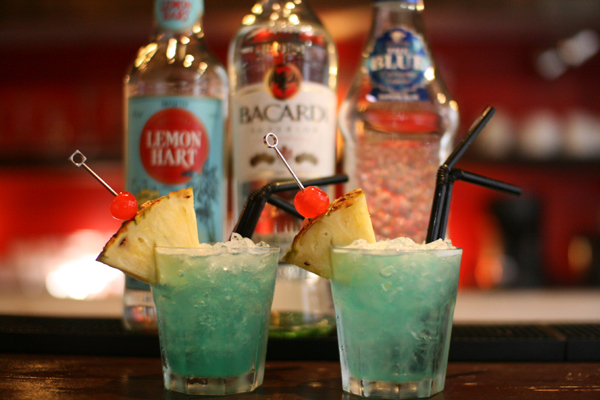 Pour 30ml of pineapple juice,15ml of lemon juice. 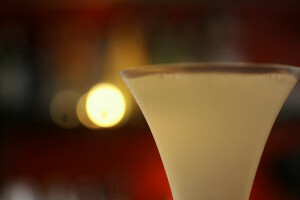 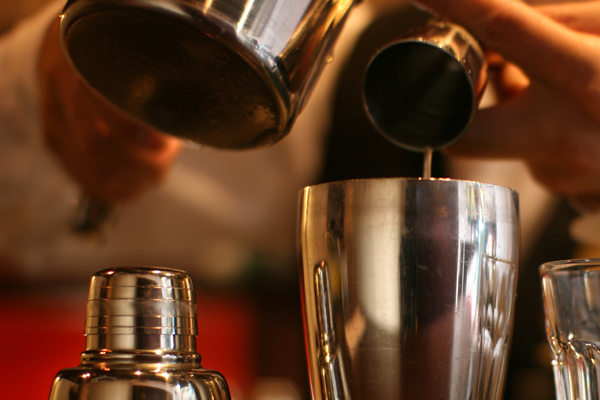 Shake with ice and strain into large glass with crushed ice.Garnsh with pineapple and maraschino cherry. 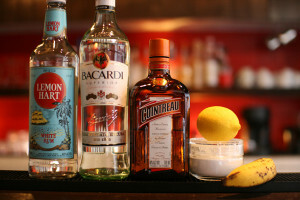 If you like rum,you may use lemon hart,and bacardi is easy to drink.